Please note: this review contains spoilers for Lev Grossman’s previous novel, The Magicians. In The Magicians, Lev Grossman introduced us to Quentin Coldwater, an intelligent, callous, callow youth who was picked for the entrance exam to Brakebills, a secret magical academy in upstate New York. Because this is a fantasy novel, I think we all knew he’d make it in. He spent several years learning magic, and learning that it was nothing like Harry Potter. But what made Quentin different is that he also believed in Fillory, a Narnia-like world created by an English novelist. He never expected to actually find it. Now, a couple of years later, Quentin is one of the two Kings of Fillory. Joined by his Brakebills cohorts Eliot and Janet, and his high school friend Julia, the four of them rule the strange, magical kingdom. But Quentin is getting bored, and what do kings do when they get bored? They go on quests. And Quentin’s quest takes him right back to where he started: Brakebills. Among other places. Along the way he meets up with his friend Josh and Josh’s new cohort, a dragon-ologist named Poppy. Then Quentin meets a dragon and he learns that his quest might affect the future of magic as he — and everyone in all the worlds — knows it. 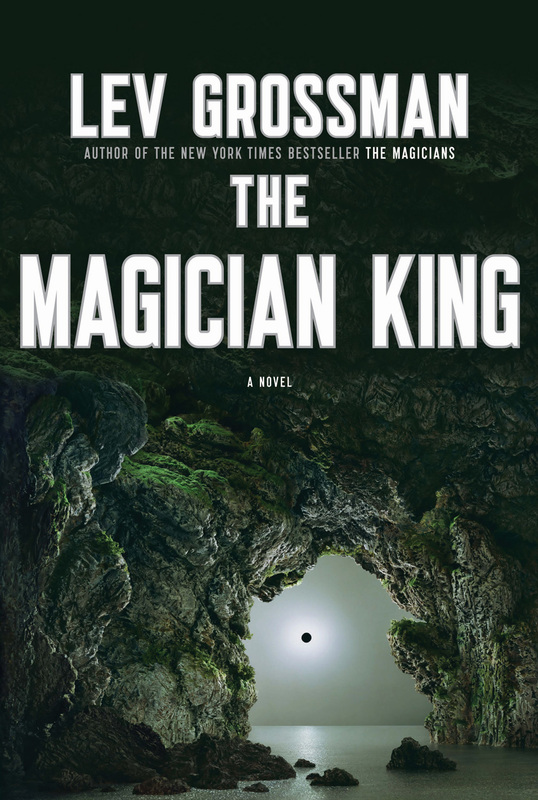 As with many sequels, it took me a few chapters to really start enjoying The Magician King. The sense of wonder and discovery from the first novel isn’t quite as evident, although Quentin’s bone-dry sarcasm and asshat-like behavior certainly are. However, the discovery returned when Grossman started layering in flashbacks to Julia’s life — for Julia, unlike the other three rulers of Fillory, did not come up through Brakebills. No, her journey to magic was much rougher, much more “street” — think of those annoying teen films where the from-the-streets dancer has to fit in with the classically-trained ballerinas — and while nothing really new happened, it was still interesting to learn how the other half of witchcraft lives. And judging from what Julia went through at the hands of a trickster god, perhaps it would be better to not have learned magic at all. But Julia’s journey does introduce us to some interestingly-named characters, such as Pouncy Silverkitten and Failstaff, even if parts of it are quite cliche and technologically silly-sounding (especially the bits with the text-to-speech forum reading software). And, as each layer of Julia’s journey is revealed, so too do we get a little closer to figuring out why Julia acts the way she does in Fillory. One of the better points of The Magicians was that the book attempted to subvert most of the common tropes of magic-school fiction — either that, or hang such a hugely-kitschy lampshade on them that readers can’t help but wonder how they ever worked in other books. The Magician King does some of the same with Fillory — the random kids who just show up and become kings, the silly-named islands that are actually pretty boring, the constant references to Fillory’s peculiar moon. The seagoing parts of the book directly draw from CS Lewis’s Voyage of the Dawn Treader — as I said before, all of Fillory draws from Narnia — although here again Grossman hangs massive lampshades upon pretty much everything, at least until the story gets serious. Since the world of Fillory is intended to be Narnia-esque, the author pretty much has to depend upon characterization to fulfill my personal “must have good worldbuilding and interesting characters” requirement. Quentin, while interesting, is quite annoying in his world-weary way; at least Eliot is a little less hipster-mage in this book. He really bugged me in The Magicians. The main characters, though certainly well-rounded, are in their own way fantasy tropes, but again Grossman’s subversion and lampshading of the standard fantasy fiction toolbox makes them worth getting to know. From Benedict the emo-cartographer to Bingle the extra-awesome swordsman, from the talking sloth who won’t shut up to the holier-than-thou of Penny, even from the irrepressible sidekick humor of Josh to the let’s-see-it-through-her-eyes characterization of Poppy, the people (and animals) who populate this book are exactly where they should be. The overarching plot of the novel felt a bit forced to me — “complete this quest or all magic will go away” — but Grossman manages to pull it off by keeping Quentin’s character consistent. Though Quentin does change as a result of what he goes through, he’s still the same old ennui-filled Quentin. Also, the whole “the hero pays the price” angle didn’t seem like much of a price to me. Still, I enjoyed reading the book, and there were a lot of clever and funny things to keep me interested until I got to the next plot point. And, unlike the first book, The Magician King clearly sets up another sequel. I’m not sure how much longer Grossman can keep up this particular style of storytelling, but I’m on board for book three. Note to Parents: This book contains adult language, violence, adult situations, and sexual situations — one of them very violent. I would not recommend it to any but the most mature teens. Of course, you should use your own discretion when it comes to your children.